Reddi Services is Family Owned & Operated since 1957! We are proud to service the Kansas City Metro and Greater Phoenix Metro areas. You know about our Reddi Services Plumbing, Drain Cleaning, and HVAC trucks and you may have seen our Reddi Root’r trucks around town. What you may not know is that Brush Creek air conditioning, Razorback plumbing, Jan Ashford plumbing, and Baughs plumbing companies were squired by Reddi Services because of their outstanding reputations and business ethics since 1957. Our call center staff treat each customer with respect and listens carefully so we send the best trained technician to repair your specific concern. Our supervisory and management staff work closely with the call center and field service teams to make sure we keep the Better Business Bureau’s A+ Rating we’ve earned over the last 60 years!steady professionalism, in our industry. 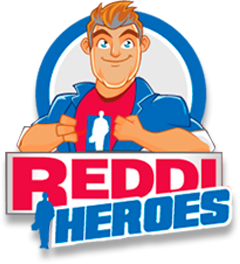 Days, Nights and Weekends Reddi is here to help! We maintain a fleet of state-of-the-art trucks and precision equipment, and our specialists are ready to evaluate any need, ranging from residential plumbing service, septic tank pumping, and pipe repairs to commercial & industrial HVAC, Vactor, and hydro services. We remain ready to provide the most budget-minded, comprehensive cleaning, repair, and replacement services to every client. Reddi Services Plumbing, Drain Cleaning & HVAC is more than a family owned company, it’s a family of companies celebrating 60 years of service. We are proud to service Greater Phoenix Metro and Kansas City Metro areas.